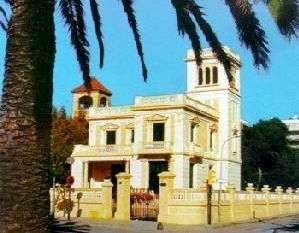 The Salou Municipal Tourism and Commerce Board has three information offices to attend to visitors' queries, as well as the main information office at the Board's headquarters. Here, visitors can find information about activities programmed during their stay in the resort, as well as trips to the surrounding area, bus and train timetables, accommodation, etc. The main information office can be found in the same building as the head offices of the Tourist and Commerce Board (Xalet Torremar, Passeig Jaume I, 4). It is open all year at the following times: Winter: 9.30 - 13.30 and 16.00 - 20.00 (Monday to Saturday), 9.30 - 13.30 (Sunday). Summer: 9.30 - 13.30 and 17.00 - 21.00 (seven days a week). During the summer season and at Easter there are three other information offices open from 10.00 - 14.00 and 17.00 - 21.00 (seven days a week).